On the finishing straight - We present the final Block of our Blockheads 2018 quilt along, Scrappy Checker Board by Corey Yoder. 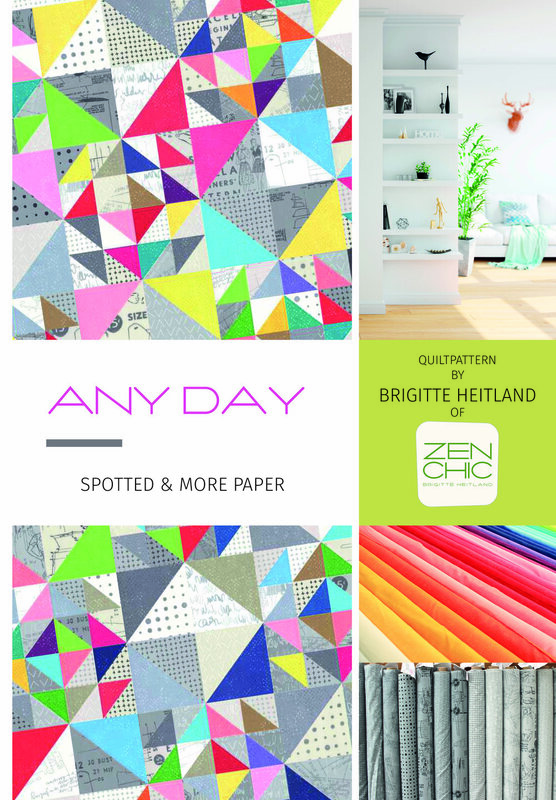 Plus: brandnew updates on my latest collections SPOTTED 2019 COLORS and DAY IN PARIS. This week we present the penultimate Block of our Moda Blockheads 2018 quilt along, hosted by Lisa Bongean. Power Star is a block for the more patient quilters among us: it is made of 141 little pieces! 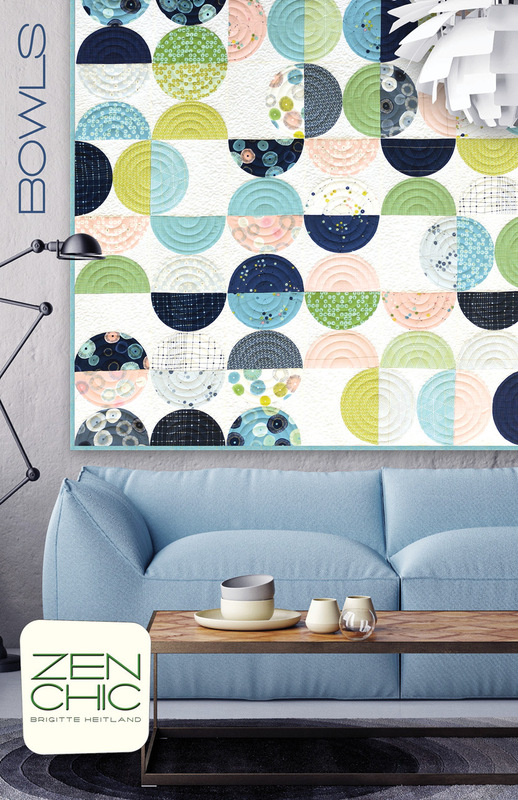 Have fun with Block 50 of our Moda Blockheads quilt along! Vintage is a classic hourglass block hosted by Sherri McConnell. This week we present Block 49 of our Blockheads 2018 sew along project, hosted by Jo Morton. Cups and Saucers is a traditional geometric block, for which I only used two colors to emphasize contrast and structure. Block 48 of our Moda Blockheads quilt along is another beautiful floral appliqué block. It is called Ann Arbor and is hosted by Laurie Simpson. Small and nice - block 46 of our mutual Blockheads Sew Along. It is called On Point Star and presented by Stacy Iest Hsu. We come closer and closer to the end, this week with block 45. It is called 12 crowns and a really time consuming one, I can tell. But oh so worth it. The host for this week is Betsy Cutchian. We continue with our Moda blockheads 2018 free quilt along project with Block 44. The block is called Candy Striper and goes quickly together. I enjoyed the simplicity of this sewing task. Our host for this week is Vanessa Goertzen from Lella Boutique. We continue with our Moda blockheads 2018 free quilt along project with Block 43. This week I am your host. Our block is named Mosaic, a simple and elegant 6” block that can be interpreted in many different ways, e.g. using fussy cuts for the center, whatever fits your style! We continue with our Moda blockheads 2018 free quilt along project with Block 42 hosted by Moda’s talented Carrie Nelson. Her block, named Around the Corner, is a simple to sew 12” block that can be interpreted in many different for example fussy cut as a midpoint, whatever you like. Check out our fourth quilt pattern, X & +, from my brand-new fabric line DAY IN PARIS, arriving in stores by April 2019. And get your hands on block 41 of our Blockheads project: Bella Spinners, hosted by Barb and Mary from Me and My Sister designs. Check out the third quilt pattern, BOWLS, from my brand-new fabric line DAY IN PARIS, arriving in stores by April 2019. It’s a playful design using the full palette of fresh spring colors from my newest collection: Just perfect to get over the winter blues! 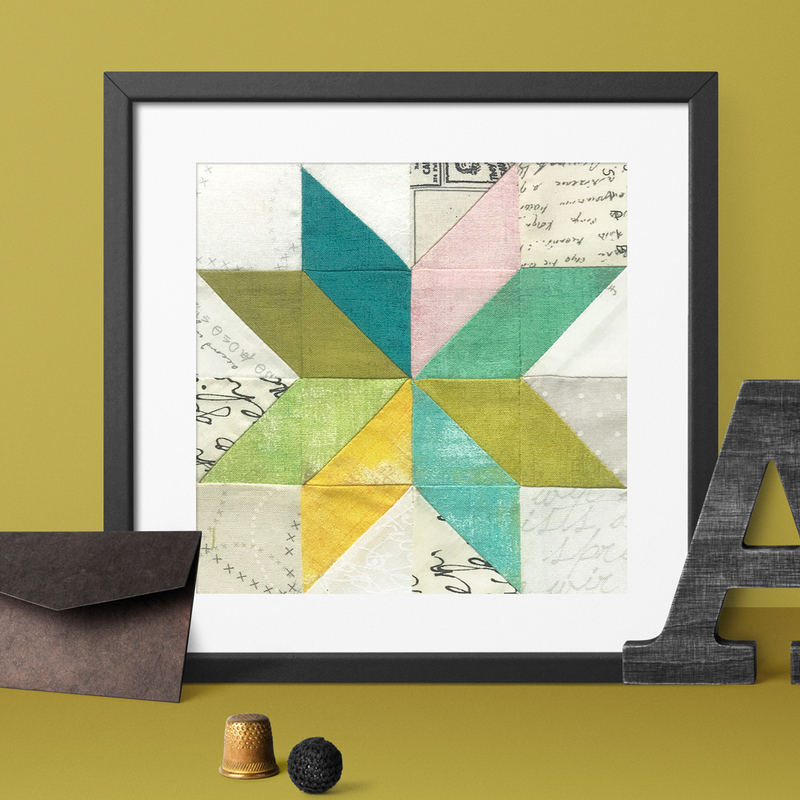 See my modern interpretation of an easy to sew traditional star block design: Zen Chic quilt pattern FADED. It is made from fabrics of my new brand-new collection DAY IN PARIS, arriving in stores by April 2019. Are you in the mood for a stylish improvisational quilt that only needs one Layer Cake and some yardage for the background? Try my new quilt pattern LET’S FLY! We wish you a merry Christmas and hope you enjoy the holidays by sewing along with us in our Moda blockheads 2018 project! This week we move on with Block 37 hosted by Sherri McConnell. It’s a more time consuming 18 " square block, just perfect to immerse yourself in extensive sewing fun. We continue with our Moda blockheads 2018 free quilt along project with Block 36 hosted by Jo Morton. Her block, named Rolling Stone, is a traditional 6” block that can be interpreted in many different ways, using color blocking or fussy cuts, whatever fits your style! This week we present block 35 of our Moda blockheads 2018 free quilt along project. It is hosted by Laurie Simpson from the Minick and Simpson sisters, who are known to design beautiful classic quilts for a traditionally decorated home. If you want to get the teenagers in your family excited about quilting try my new quilt pattern XOXO that gives text messaging a whole new dimension. 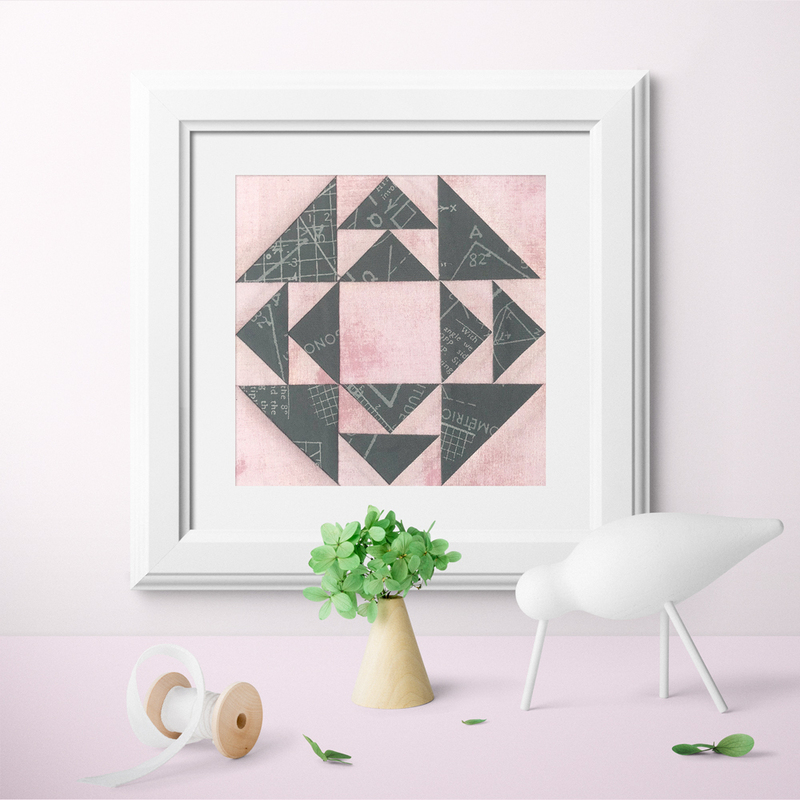 This week I present my new geometric quilt pattern DELIGHT with diamond shaped patches in light colors and a modern, straight echo quilting. If you love the interplay of colors on a late summer morning, like me: bring it inside and enjoy it all winter with this minimalist quilt design. We also keep on working on our Blockheads 2018 sew along project with Block 33 hosted by Stacy Iest Hsu. She puts a spotlight on a classical eight-point star, which completely changes its appearance depending on your placement fabrics. See my interpretation of her design in my blog.